Planting Period: October until the end of April. Flowering Period: Late December until the end of June. Flowering time is 7-10 weeks. Larger bulbs produce more flowers. Always store un-planted bulbs in a cool place between 40-50 deg. F.
Of all flowering bulbs, amaryllis are the easiest to bring to bloom. This can be accomplished indoors or out, and over an extended period of time. 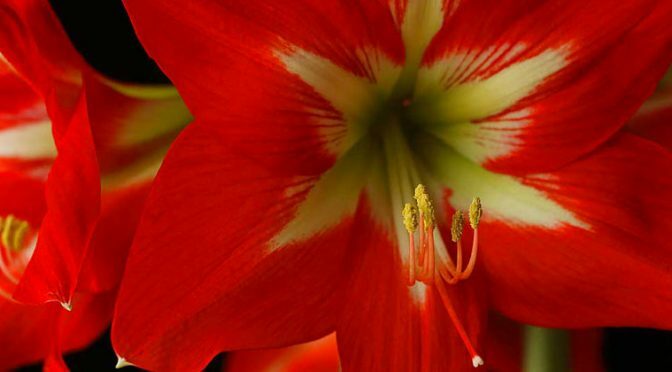 The amaryllis originated in South America’s tropical regions and has the botanical name Hippeastrum. The large flowers and ease with which they can be brought to bloom make amaryllis popular and in demand worldwide. The amaryllis comes in many beautiful varieties including various shades of red, white, pink, salmon and orange. There are also many striped and multicolored varieties, usually combining shades of pink or red with white. The base and roots of the bulb should be placed in lukewarm water for a few hours. Remember, if you cannot plant the bulbs immediately after receiving them, store them at a cool temperature between 40-50 degrees F.
Plant bulbs in a nutritious potting compost, many are available pre-mixed. Plant the bulb up to its neck in the potting compost, being careful not to damage the roots. Press the soil down firmly to set the bulb securely in place after planting. Plant the bulb, or place the potted bulb in a warm place with direct light since heat is necessary for the development of the stems. The ideal temperature is 68 to 70 degrees F. Water sparingly until the stem appears, then, as the bud and leaves appear, gradually water more. At this point, the stem will grow rapidly and flowers will develop after it has reached full growth. Bulbs will flower in 7-10 weeks as a general rule. In winter the flowering time will be longer than in spring. Set up your planting schedule between October and April with this in mind. To achieve continuous bloom, plant at intervals of 2 weeks for stunning color in your home or garden. After-Flowering. After the amaryllis has stopped flowering, it can be made to flower again. Cut the old flowers from the stem after flowering, and when the stem starts to sag, cut it back to the top of the bulb. Leaf Growth and Development. Continue to water and fertilize as normal all summer, or for at least 5-6 months, allowing the leaves to fully develop and grow. When the leaves begin to yellow, which normally occurs in the early fall, cut the leaves back to about 2 inches from the top of the bulb and remove the bulb from the soil. Bulb Storage. Clean the bulb and place it in a cool (40-50 deg. F), dark place such as the crisper of your refrigerator for a minimum of 6 weeks. Caution: Do not store amaryllis bulbs in a refrigerator that contains apples, this will sterilize the bulbs. Store the bulbs for a minimum of 6 weeks. Plant Again. After 6 weeks you may remove bulbs whenever you would like to plant them. Plant bulbs 8 weeks before you would like them to bloom. Summer heat can take a toll on your lawns The heat and dry conditions After a visit from the “lawn doctor” was the prognosis intensive care? 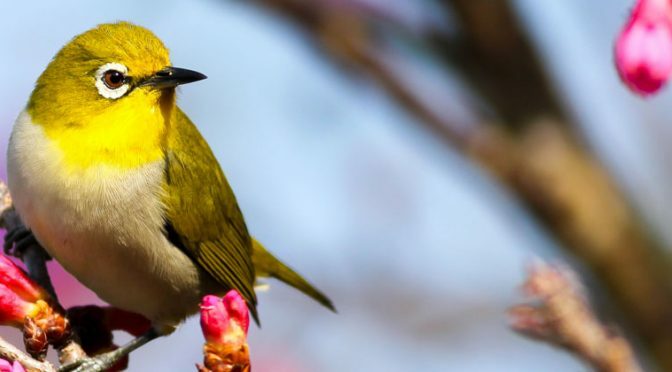 Where is the green that lifts our spirits? The answer is in 6 easy steps to renovation your lawn. Maintaining a healthy turf is a great way to get outdoors. When you’re done, your turf will be in great shape and you’ll feel good too-a greener lawn & leaner you! Step 1: Dethatching. Thatch occurs in lawns as a build up of tillering that occurs with mature rhizomes. It is this internet or crossing of decomposing rhizomes that forms a mat in your turf just below the soil line. It should be removed with a dethatching machine or by mowing close to the ground and following with a stiff rake to tear up any remaining debris. Step 2: Raking It’s not only great exercise for you, but really stimulates your turf while removing the old grass, crabgrass and weeds. Because thatch and weeds decompose slowly and might contain weed seeds, we recommend against composting this material. Step 3: Aeration. This might just be the most beneficial aspect of the six steps. Punching holes, or coring your turf allows moisture, fertilizer and air to penetrate the soil. This can reduce the effects of soil compaction and allow for better drainage. This can be done mechanically by a lawn service or manually with a foot press aerator or a new pair of golf shoes that need breaking in. Step 4: Seeding. For spot seeding many choose to use a blend of perennial ryegrasses. They germinate quickly, usually with 7-10 days, and provide quick cover for winter damaged areas such as entry ways, driveways and play areas. Choose a seed mixture that is right for your area. Blends are available in sunny, shady, or combination areas. Broadcast by hand or with a rotary spreader. Water in well, possibly daily until seedlings are well established. Step 5: Fertilizing. For renovation your turf we recommend using a “starter” fertilizer. This provides a green-up, but also focuses on developing the root system, making your turf disease and drought resistant. Follow directions on bag for application instructions. Step 6: Watering. This is probably the last thing you want to thing about now! However, a new lawn, whether it is sod or seed, should be watered consistently until well established. This might mean daily waterings. Following these simple steps can help your lawn look better than ever-and you’ll feel better too! Start amaryllis and paperwhite narcissus for holiday blooms. (Allow 5-6 weeks for paperwhites and 12 weeks for amaryllis). Apply lime to lawns to raise pH. A 50# bag of lime will raise lawn pH about .5 point per 1000 sq ft. Apply an anti-dessicant, such as Wilt-Pruf, to spring or fall planted broadleaf evergreens and specimen conifers. Make sure temperatures are above 50 degrees. Newly planted Arborvitaes could be wrapped in burlap to protect from snow load. Fall is right around the corner and it is a glorious time. The countryside is virtually exploding with oranges, reds, golds and yellows. This is a great time of the year to enjoy the out-of-doors. 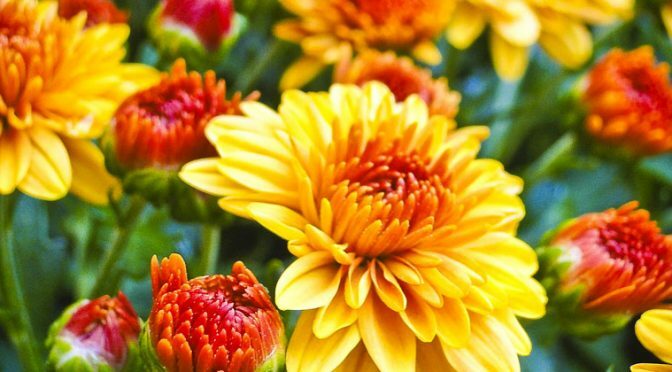 It is also a great time for fall gardens as autumn mums and perennials finish the season with a flourish. Most spring planted annuals get a bit ragged about now, having survived through the heat, dry conditions and pests of the summer. This is a good time to freshen up your gardens by introducing some proven winners to your fall landscape. Coincidentally, you’ll probably be around to enjoy your fall garden more than you mid-summer plantings. The weather is more temperate, vacations are over with and kids are back in school. With that it mind here are a few suggestions that are sure to please. Most of these plants will have strong seasonal interest well into December-and ornamental grasses are great all throughout the winter! Fall Favorites: Ornamental Grasses-Grasses are a terrific way to add drama to your landscape. Their texture is a perfect foil to Rudbeckias, Sedums or hardy Chrysanthemums. They are extremely easy to grow, durable and can be used in a variety of landscape situations. They are also very attractive when used in containers. Ornamental grasses can range in height from under one foot (Festuca cinerea ‘Elijah Blue’) to well over six feet (Miscanthus sinesis ‘Silver Grass’). Many varieties of the Pennisetum family are gaining in popularity, including alopecuroides, with its enormous tassels through fall and winter and a dwarf fountain grass called ‘Hamelin’. Most varieties send out dramatic spikes of feathery plumes during late summer and early fall. These seed heads add interest to an otherwise stark winter landscape. Ornamental Kale-Flowering kale and cabbages are fast becoming one of the more popular additions to the fall border. And for good reason…ornamental kale offers dramatic colors and shapes not commonly available in the fall. Brilliant pinks, purples and creamy whites add intrigue whether planted in the landscape or used in containers to accent mums and grasses. Their fabulous colors are not flowers, but rather rosettes of central leaves. Flowering Kales have fringed or serrated leaves that actually gain in color intensity as the weather turns colder. They literally bloom into the winter months! Their vibrant displays will last until the winter temps reach the teens. Fall Pansies (Violas)-This is a great way to extend your color into November and beyond. While most mums have gone by, these guys, with proper maintenance, will flower their heads off. Plant them in drifts, in pots or even tuck a few in to spruce up a tired hanging basket. 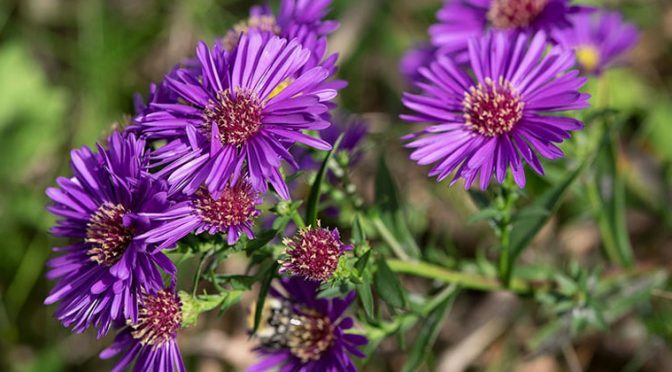 These cheery faces do especially well with the warm ground temps and cool nights of autumn. They usually will flower through the first couple of hard frosts. Hardier varieties even winter over and provide unexpected delights the following spring. Imagine their deep purples set off against the brilliant pinks of ornamental kales. The nice thing about it is it will look great whether planted in the landscape or potted up for the front door! 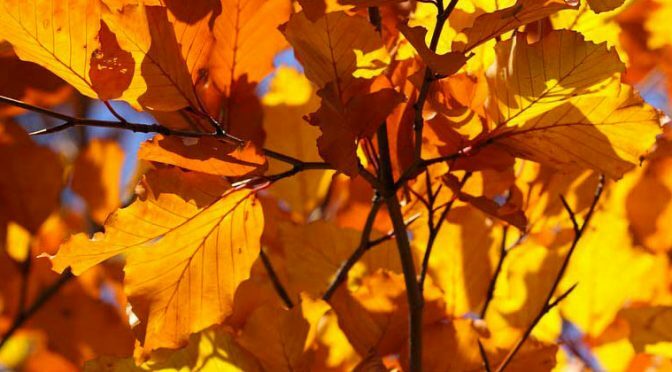 Well, those are but a few of many great ways to liven up your fall landscapes. Sedum, hardy perennial Hibiscus and Asters are other opportunities. Stop by with any questions. We are always here to help. Fall is a beautiful time, and after all, Fall is for Planting! Fall is a great time to plant trees, shrubs, bareroot perennials and bulbs. Check your lawn for grub activity. Sure signs are brown patches of lawn with turf that you can peel back. Another sign is increased activity of skunks, raccoons and moles in your lawn. Treat with dylox, oftanol or diazinon to eliminate grubs. Plant spring flowering bulbs. Plan on the end of this month. Fertilize and water in well. Plant fall pansy, flowering cabbage and kale. They all love the cooler night temps that come with autumn in New England. Fall is a great time to seed or re-seed your lawn. Keep grass seed moist until germination occurs. Add weed-free straw or salt marsh hay to hold seed in place. Are you overloaded with new ideas for perennial beds and borders after visiting friends or public display gardens? Seen lots of unfamiliar and interesting new plants at the nursery? If so, fall is an excellent time to prepare fall garden beds for planting now or in the spring. The cooler temperatures, weaker sunlight and shorter days of fall mean less energy goes into top growth and more into establishing a strong root system. Planting in this area can usually continue through October. 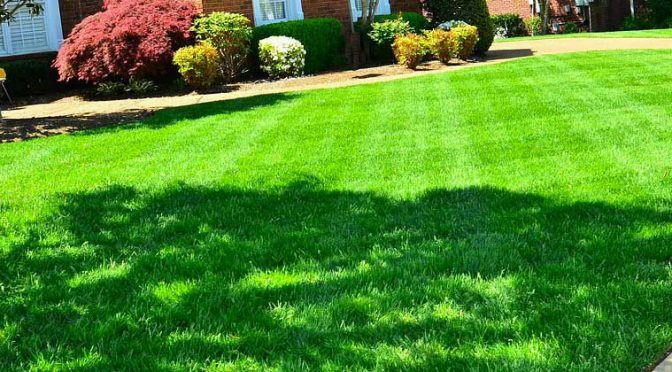 Fertilizers can either be natural, or you can use dry or granular fertilizers that are either quick or slow release. You can use either type if you are going to plant now. If you are going to delay planting until spring, wait and add the fertilizer then unless you are using natural fertilizers which break down slowly and will not leach out readily. It’s always a shame that just when your window box has reached their peak of fullness and color, autumn sneaks in and nips at the foliage and flowers, signaling it’s time to clean them out. Or is it? 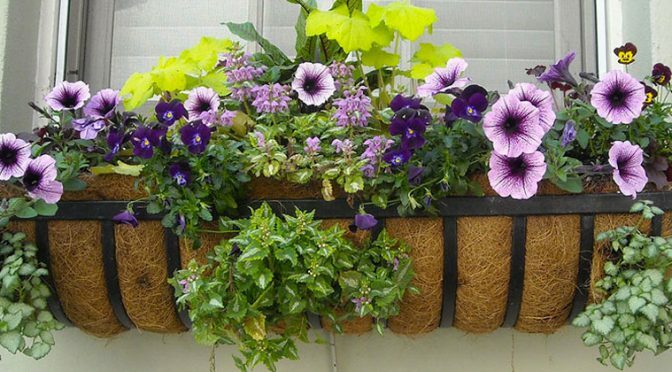 This season, try extending the life of your window boxes, so you can appreciate their beauty year-round, each time you glance out your winter windows. To spruce up your boxes, start by removing what looks old and tired: the geranium leaves are beginning to yellow, the verbena is way past its prime, and the dianthus isn’t flowering anymore. But the ageratum seems to be perking up now that the heat of summer has passed, and the ivy and vinca are holding their own. You can fill in gaps with cool season flowers such as mums and pansies and probably get another three weeks of flowering out of those boxes. When freezing temperatures arrive, it’s time for flowering brassicas, such as kale and cabbage, with their colorful, curious foliage. Plant them directly into the boxes and they will last all winter long through the harshest of weather. As you plant, tuck daffodil and tulip bulbs under the flowering kale to guarantee an early spring show. 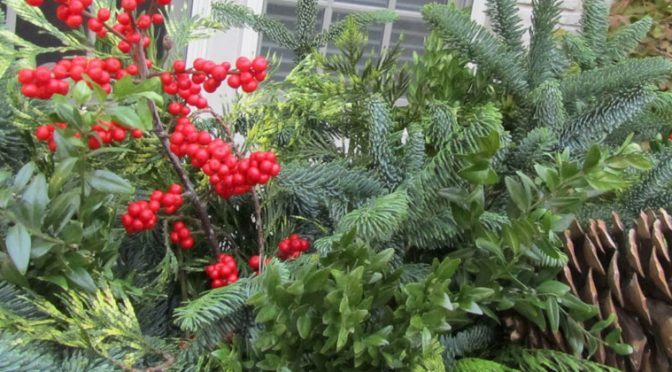 You can mix in cut sprigs of crabapples, viburnums, winterberry, or any other shrub or tree with clusters of colorful berries and strong branches. Just stick the branches into the soil in the boxes, and your only problem will be the birds and wildlife competing for the berries! Tangled grapevines and bittersweet, with its orange seed coats and red berries, quickly go from noxious weeds growing in the wild to precious commodities in autumn and winter window boxes. 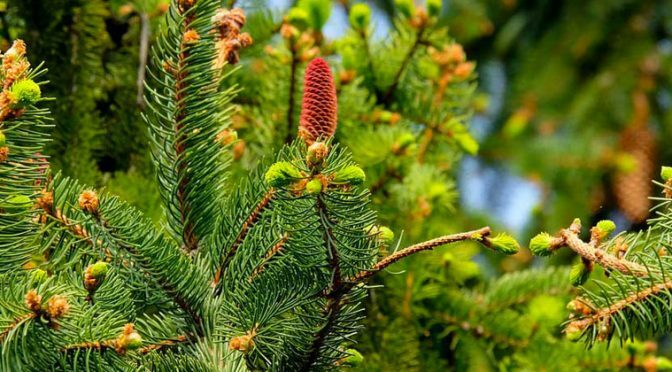 Evergreen branches from spruce, balsam, and fir will retain their color throughout the winter months as long as the temperature is low. Stick their ends into the soil just before the soil freezes, arranging them en masse. For the holidays, string little white lights through the boughs and tie on weatherproof velvet bows. Discard the branches once the temperatures start to warm, but don’t worry, your window boxes won’t be bare for long. The tulip and daffodil bulbs you carefully tucked in for the winter will soon be coming to life, and the cycle will begin anew. The large Japanese beetle population will mean a heavier than normal population of grubs. Knowledge is of course your best defense. Here are a couple of suggestions for reviving your lawn..
Pest Control: In late summer and early fall the grub cycle begins as the larvae pupate into the common white lawn grub. At this stage of their development, these grubs are the most vulnerable. Treat infested areas with either a liquid dose or a granular treatment as either dylox, diazanon or oftanol. Water deep and infrequently during the summer months. One inch of water early in the day about once a week is adequate. Help your lawn out by changing direction when mowing. Travel north to south on one mowing and east to west on the next cutting. In late August, prepare the lawn areas for seeding tall fescue or bluegrass. Seed or fertilize lawns the last week of August. As parts of the vegetable garden come to an end, remove plants. 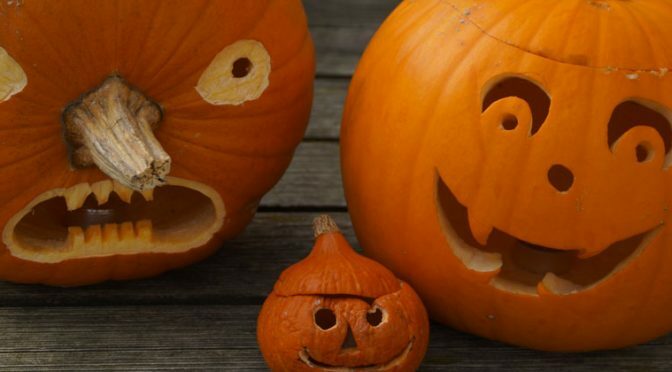 Put them in your compost pile if not infested with insects or diseases. If disease, insects or nematodes have been a problem dispose of the plants to reduce the number of pests that survive the winter. Japanese beetles are pests this time of year. Spray as needed, but removing by hand is more effective. Give houseplants a new lease on life. Repot them to give them more room for roots to grow and fresh potting soil. Remove faded flowers on flowering perennials to encourage a second flowering. Cut back impatiens, begonias and salvia that have become too tall or top heavy. Cutting them back will make them bushy, with more blooms. Perennial seeds of hollyhock, delphinium and stokesia can be sown now to produce plants for next spring. If plants such as petunias have become leggy and their flower production has diminished, rejuvenate them by cutting off the branches, fertilizing, and watering them. It will encourage new growth and flowering. Make sure hanging baskets have ample water; they will dry out rapidly in the summer heat. Stake tall-growing flowers to prevent them from falling. 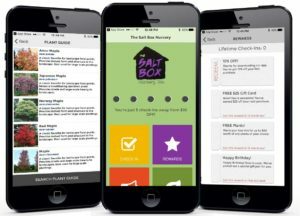 Monitor the water needs of container gardens daily. Move plants from hot surfaces to places that are shaded and cooler. Give landscape plants a second, and last, feeding of fertilizer. Have trees and bushes in need of pruning? Prune ‘bleeder’ trees like maple, dogwood, birch and elm, as well as the fruiting canes of raspberry and blackberry plants after harvest is over. Cut canes at ground level. Refrain from pruning spring-flowering shrubs now. Don’t fertilize shrubs in August, September, October or November, it could cause new growth at a dangerous weather time. Watch for damaging insects on evergreens. Scale, spider mites, leaf miner and leafhopper can be a problem. Avoid spraying pesticides on very hot days or when plants are drought stressed. Maintain a layer of mulch two to four inches around trees and shrubs and two inches around annuals and perennials. Keep mulch a few inches away from plant trunks or stems. Mulch keeps the soil cooler, conserves moisture, and reduces weeds. Compost can be added as a top dressing around your shrubs and perennials. It will help hold moisture and will enhance the soil to help promote the long-term health of your plants. If your perennial flower garden gets a little drab and boring come late summer and fall, think about planting dahlias. Gardeners are always trying to find colorful flowers to keep the show going into autumn, and dahlias are the perfect star to fit the bill. Dahlias just need a little more thought and attention compared to other perennial flowers. Dahlias offer a wide range of flower types. There are flowers shaped like pom-poms, anemones, cactus, orchids, and water lilies. The flowers come with single or double petals and in almost any color of the rainbow from white to purple. Some varieties produce flowers the size of a dinner plate, while others have small flowers on dwarf plants. Whatever dahlia variety you choose, they all grow from tubers planted in spring. Dahlias are winter hardy in USDA Zone 7 and warmer zones. In colder areas, the tubers need to be dug and stored in winter after a frost. Gardeners in warmer-winter climates can treat dahlias like perennials. 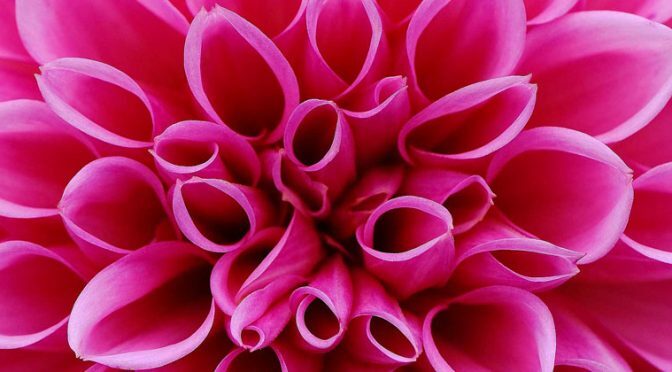 Due to threats from disease and insects, however, some gardeners in warm-winter climates still prefer to dig and store their dahlias to protect them. Plant dahlias on well-drained soil amended with compost. Dahlias grow best in full sun, but can take some afternoon shade in the South. Plant tubers about 4 to 6 inches deep in the soil. 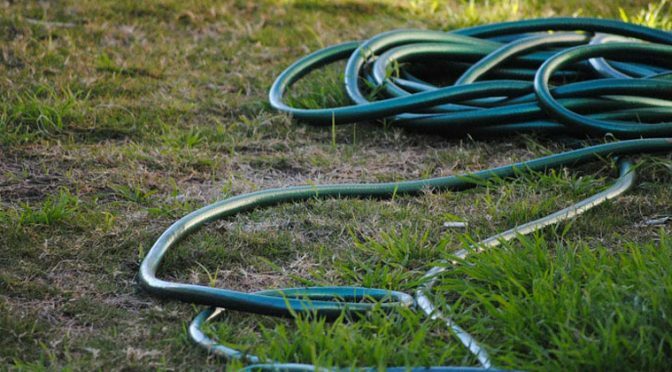 Unless your soil is extremely dry, don’t water until you start seeing signs of plant growth. Consider planting in groups and remember the ultimate height of your plants. 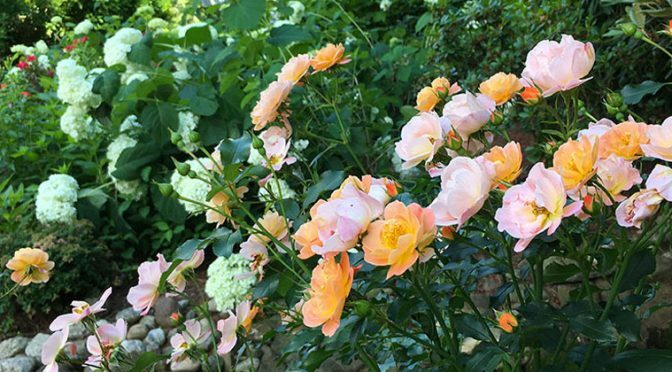 Tall varieties look good tucked in the back of a perennial garden, while medium- to dwarf-sized plants look best right up front. For tall varieties, you may have to use plant stands or stakes to keep the plants upright. 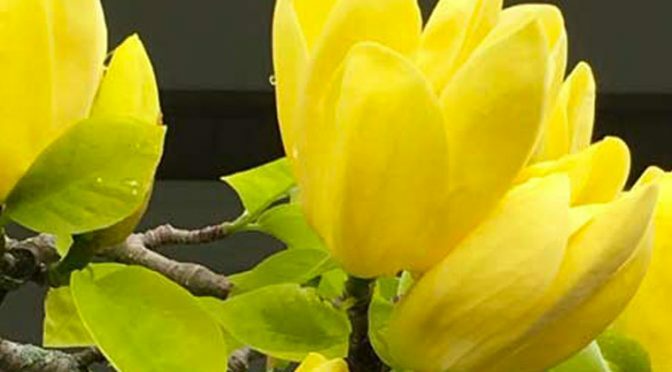 To promote bushier growth, when the plants are about 18 inches tall, pinch out the tip of the central shoot; this causes the plant to send out side branches, which will lead to more flowers. It’s hot out there for newly planted trees and shrubs. These plants may be struggling to survive the heat and drought because their root systems haven’t had a chance to get established in the native soil yet. That’s why it’s important to pamper spring-planted trees and shrubs during the first year after planting. Most trees fail after the first year of planting because they were stressed and never recovered from transplant shock. Here are some ways to take the shock out of tree planting. Keep them watered. Young trees need moist soil to survive the first summer. If you have sandy soil, the roots will dry out quickly and the leaves may shrivel and drop. 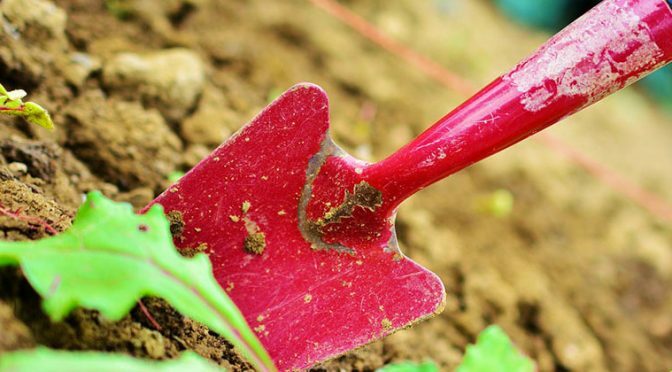 If you have clay soil, the dry ground will rack, exposing roots and causing them to dry out. You should water your trees a few times a week and deeply. Add 5 to 10 gallons of water per tree each time. Use a gator. If you don’t want to be a slave to tree watering all summer, try this product. Tree gators are plastic-sleeved devices that wrap around trees. Fill them with water and they slowly release the water over time, keeping the soil around the rootball moist. Mulch them. Keep the soil around the tree or shrub mulched with an organic mulch. This will help keep the soil moist, plus prevent weeds from growing. Be generous with your mulch ring size. Spread it outside the drip line of the plant. The feeder roots will be more likely to penetrate the native soil if there is no competition from other plants and the soil stays moist. Add a 2- to 3-inch-thick layer of mulch around each tree and don’t pile it up next to the trunk or the tree may suffer from crown rot. Stake or no stake? Staking usually isn’t recommended for newly planted trees. The gentle swaying from the wind helps the new roots get established. However, if you have a windy location, you may want to stake the tree for just the first year so it doesn’t blow over.